← Great customer service – It’s not that hard is it? So I’m checking in on my all year round list. Last weekend I did an introduction to Freediving course. The course is just one of the many that are run by NoTanx. Their approach and philosophy to freediving training is a holistic one; it’s all about relaxation, enjoyment and inclusiveness. About 14 budding freedivers turned up in the cold rain early last Saturday morning at a gym in the City of London to learn how to hold our breath. Yes I know it sounds weird. The course started with introductions; the majority of people were scuba divers wanting to learn new skills and improve their air consumption. There were also a few ‘just interested’, some public speakers needing to calm their nerves and a couple of budding spear fishermen. The day was a mixture of lectures, practical exercises and pool sessions. We did some breathing and stretching exercises in the classroom before progressing to the pool. The gym was closed and it was strange having the whole building to ourselves. Standing in an underground swimming pool with all the other lights in the building turned off with a group of strangers wearing swim hats and masks at 10.30 on a Saturday morning was a somewhat surreal experience. We practiced swimming lengths under water using our newly learnt breath holding techniques. The emphasis was on relaxation and controlled breathing rather than timing how long you could stay under water; there was no competition, everyone just chilled out and went at their own pace. In the afternoon we had the safety lecture and learnt about blackouts and loss of motor skills which can occur if you push your body to beyond its limits. And then before anyone had time to lose their nerve we were back to the pool to practice being safe. I really enjoyed this session, partly because we had all had got over the anxiety of the unusual situation and were more confident and relaxed. It was lots of fun as we got to try mono fins which once you got the hang of swimming with your whole body rather than with just your legs were super fast. We also practiced static apnea where you hang like a rag doll corpse face down in the water. It was actually hugely relaxing and strangely, I really enjoyed it. Spending time focusing on relaxing and breathing (lets face it, if we can’t breathe properly we are in big trouble) I think is time well spent. The added benefits are that next time I take off to the Red Sea I can practice diving without lugging a tank of air down with me. Oh and of course – its now ticked off my list. I was way out of my comfort zone for most of the day but it was worth it for the experience and the opportunities that it’s opened up. So I’m celebrating. What next? How are you getting on with your list? Some links to do with freediving…. This entry was posted in freediving, Inspiration, Life and Death, scuba diving, travel and tagged apnea, blackout, breathing, challenge, comfort zone, diving, exercise, fins, gym, holiday, holistic, london, mask, philosophy, red sea, relaxation, safety, snorkel, spear fishing, stretching, swimming. Bookmark the permalink. 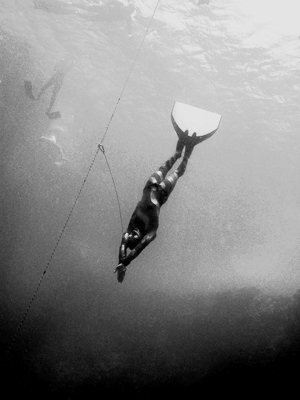 I started off freediving with Marcus and the gang. He made it really easy for me to get into the sport. 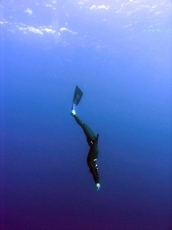 Notanx is doing good work getting more people into freediving! It’s true – can’t wait for my next trip….